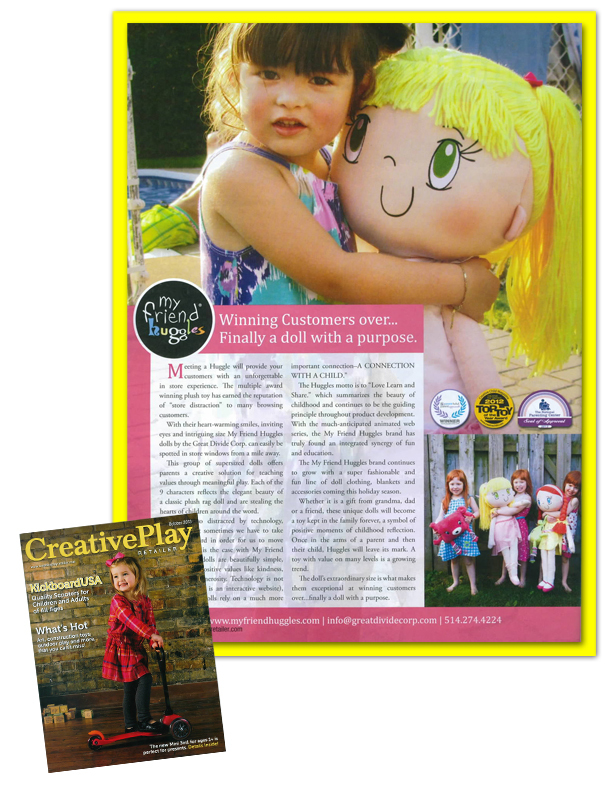 My Friend Huggles was featured in the Westmount Examiner outside of local toy store Oink Oink. 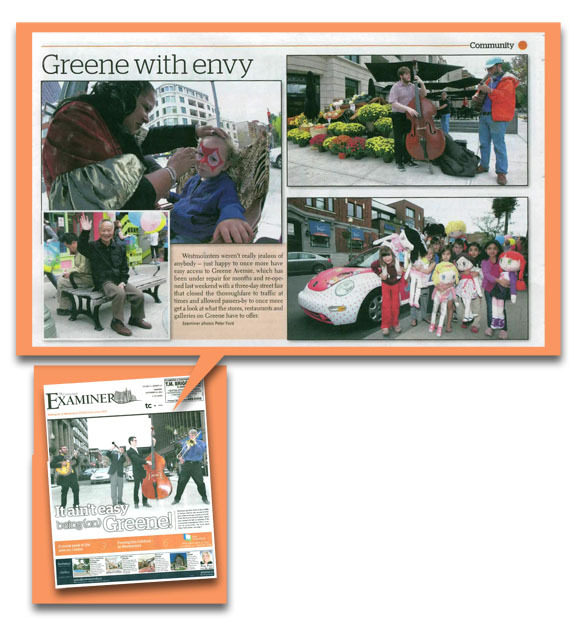 My Friend Huggles was featured in the Westmount Examiner after taking part in a large street festival this past September. Oink Oink, a boutique that sells My friend Huggles dolls, was one of the retailers celebrating the re-opening of their town’s main shopping street. Re-opening a main street brings busy days for a popular toy retailer. Previous to the festival and during, many have shopped at Oink Oink, from local citizens to celebrities (this summer celebrity Halle Berry stopped in to purchase two My friend Huggle Kira dolls from Oink Oink!). Oink Oink, A store. A Fantasy. For boys & girls of all ages, is located at 1343 Greene Avenue, Westmount, QC. During the festival My Friend Huggles had their Huggle mobile parked out front of Oink Oink, giving away a My Friend Huggles Cool Cuff for each doll purchased at the Huggle Mobile, running a colouring contest to win a free Huggle and interacting with families. 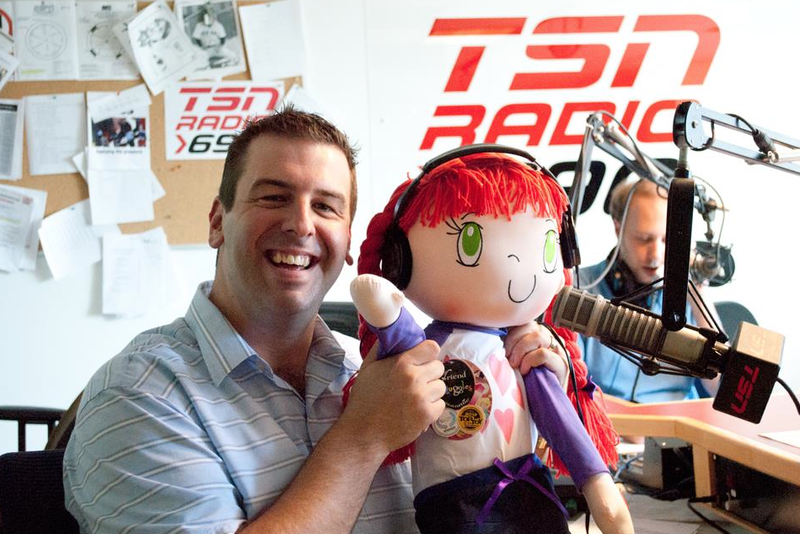 My Friend Huggles Mimi was there when a special little girl in CHU Sainte-Justine got a visit from the Montréal Allouettes. The famous Montréal Allouettes recently visited CHU Sainte-Justine, Mother and Child University Hospital Centre. 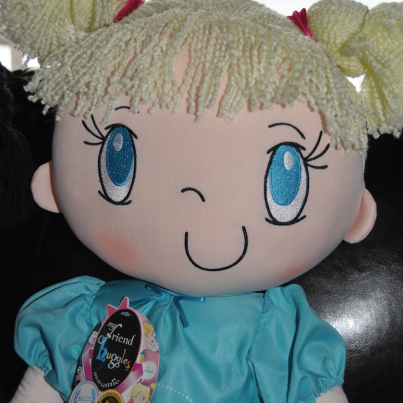 During the visit one little girl had My Friend Huggles’ Mimi doll keeping her company in bed. 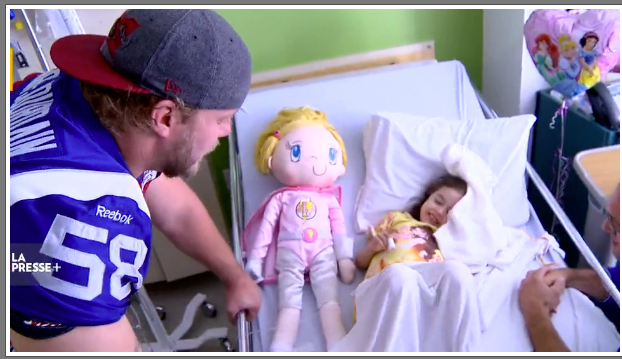 It’s absolutely wonderful and kind when celebrities and sports figures take the time to lift the spirits of kids. Giving courage and confidence. Way to go Allouettes!!! 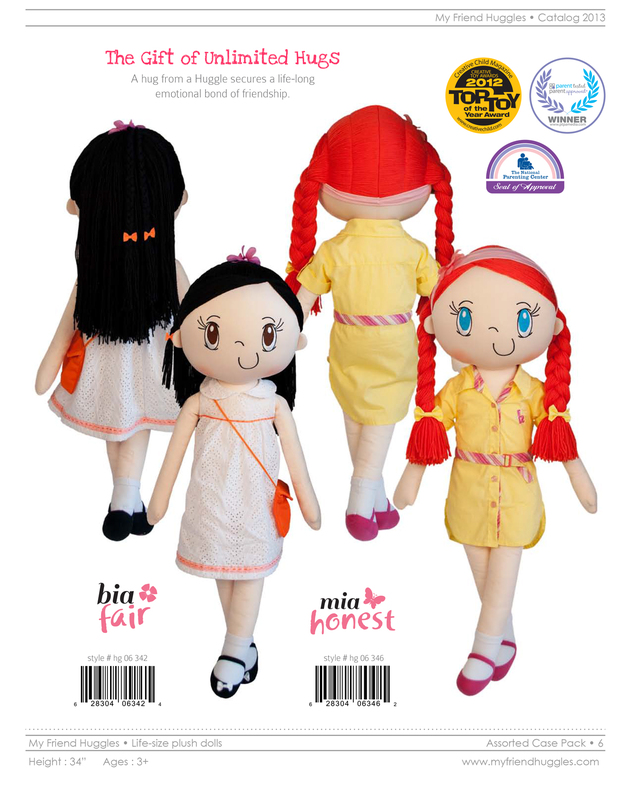 My Friend Huggles life-sized, plush dolls are themed to teach young children character values ~ Mimi’s theme is confidence. 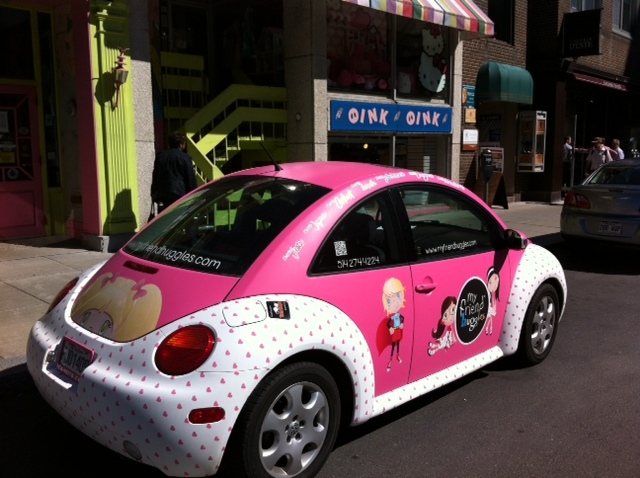 My Friend Huggles and their Huggle mobile in front of their Montréal retailer Oink Oink during a local street festival. My Friend Huggles was giving out one free cool cuff for every doll purchased at Oink Oink at the Huggle mobile during a large street festival this past Saturday. They also had a coloring contest to win a free Huggle! Oink Oink, A store. A Fantasy. For boys & girls of all ages, is located at 1343 Greene Avenue, Westmount, QC. 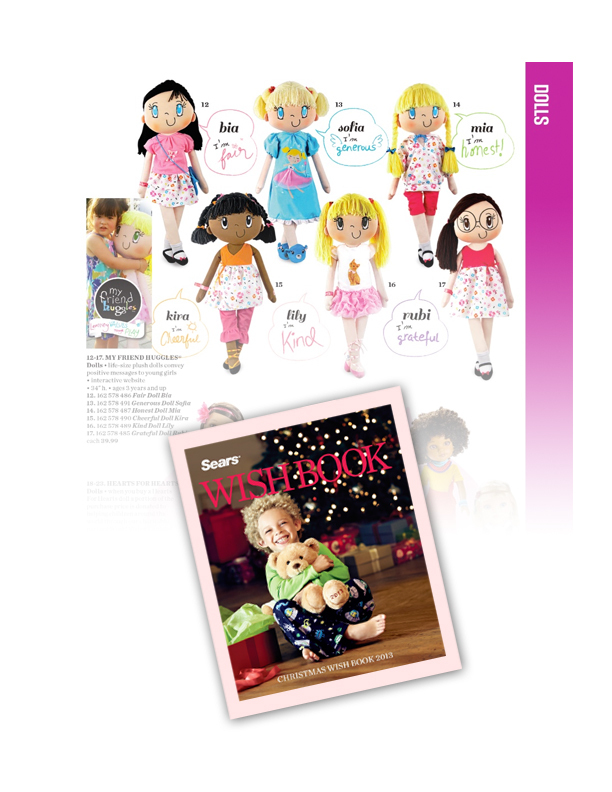 Christmas Shop Early and Check out My Friend Huggles in the Sears Wish Book this Season! 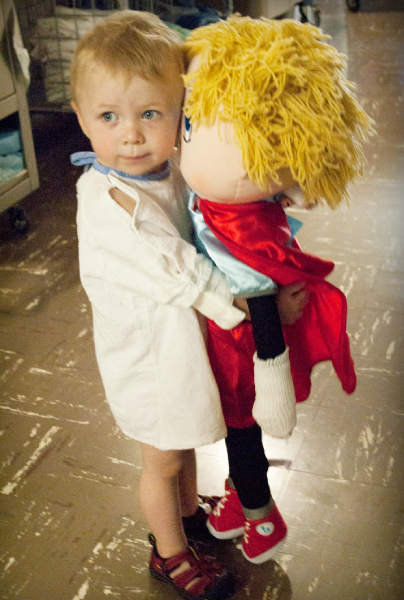 My Friend Huggles at CHU Sainte-Justine, giving a feeling of safety and comfort to in children in hospitals. Last week as part of our Campaign of Hope, we did a gifting of dolls at CHU Sainte-Justine, Mother & Child University Hospital Center. CHU Sainte-Justine is the largest mother and child centre in Canada and one of the four most important paediatric centres in North America. 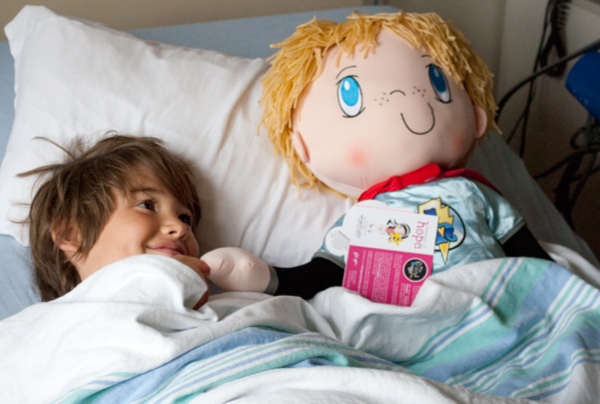 The My Friend Huggles Campaign of Hope has given hundreds of hospitalized children the feeling of safety and comfort. 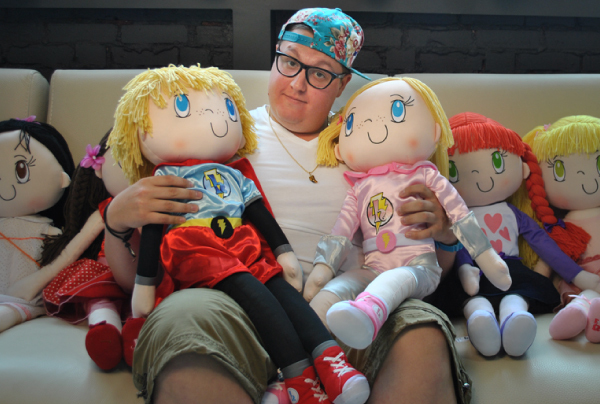 The My Friend Huggles Campaign of Hope generated 224 dolls to be distributed to Children in hospitals across Canada. 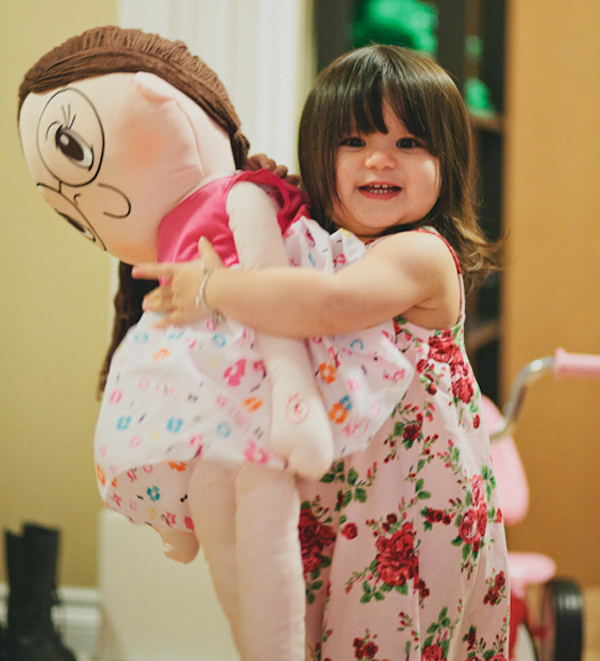 A HUGGLE FOR A HUGGLE – The My Friend Huggles Campaign of Hope generated 224 dolls to be distributed to Children in hospitals across Canada. Thank you to everyone who purchased for your support. We invite you to follow our campaign on our social media sites. (FB/Twitter) and see all the smiles you helped create. Thank you to Urban Outfitters (St. Catherine) for your generous contribution and to everyone that participated in our Instagram photo contest. 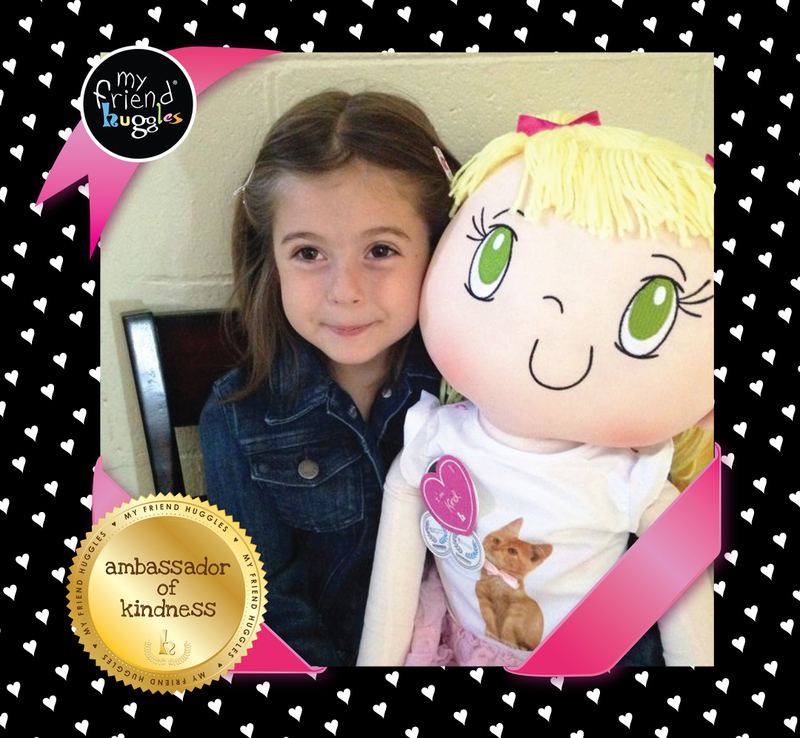 The My Friend Huggles team would like to thank everyone that participated in our Instagram photo contest. Thanks for the fun snapshots taken at the Starlight’s Children’s Foundation’s “Strangers in the night” gala. That took place on June 15, 2013. The My Friend Huggles community will surely enjoy it as well. 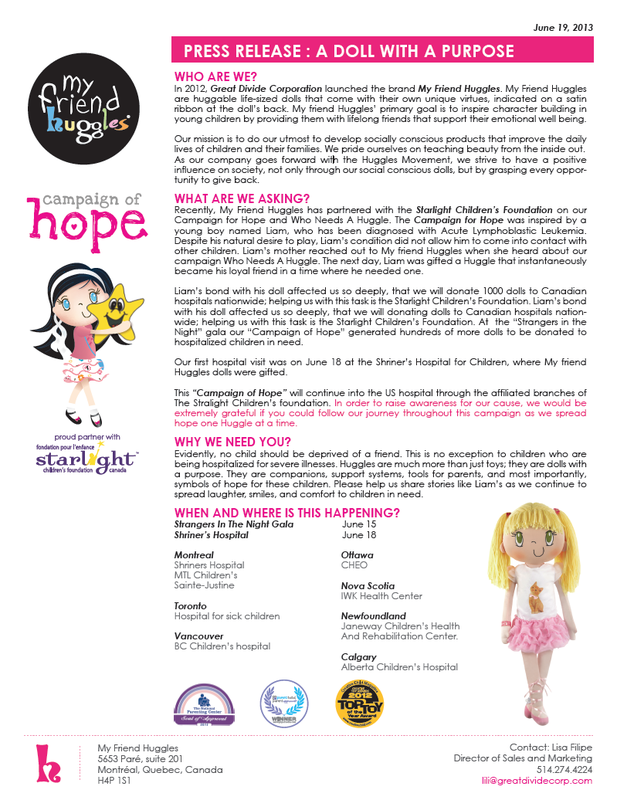 We invite everyone to continue with us on our journey to help raise awareness for more children in need of hope. The winner of our instagram contest is: @tb1_ Congratulations! You have won a 100$ gift certificate to Urban Outfitters. We love your enthusiasm and thank you for helping us spread the word. Thank you to Urban Outfitters (St. Catherine) for your generous contribution. 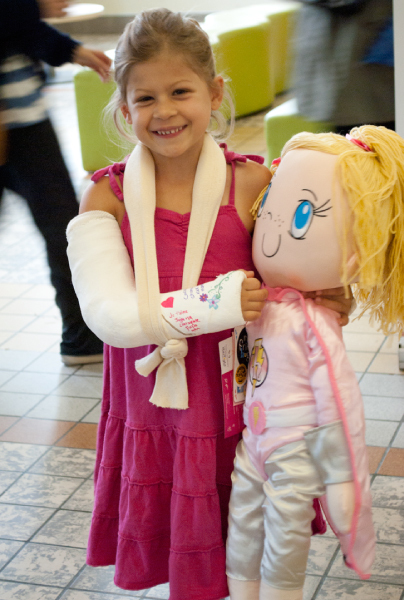 The My Friend Huggles Team would like to personally extend their gratitude for your generous product donation. 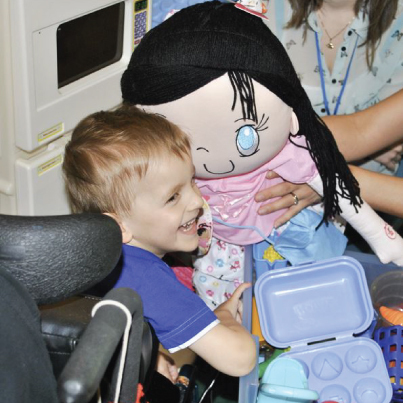 Your collaboration with us in our Huggles Carpool raffle helped generate tons of interest and many participants. 100% of the proceeds will be donated to the Starlight Children’s Foundation. We invite you to follow our Campaign of Hope on our social media sites. (FB, Twitter) The Recognition from Porsche Prestige helped raise awareness to our campaign for the children. Thank you Avanti Spa and Kérastase for the grand prize in our Huggles carpool raffle. The My Friend Huggles Team would like to personally extend their gratitude for your generous product and service donation. Please extend our thanks to Kérastase as well. Your basket was our grand prize in our Huggles carpool raffle and helped generate tons of interest and many participants. 100% of the proceeds will be donated to the Starlight Children’s Foundation. On behalf of the children, we thank you. 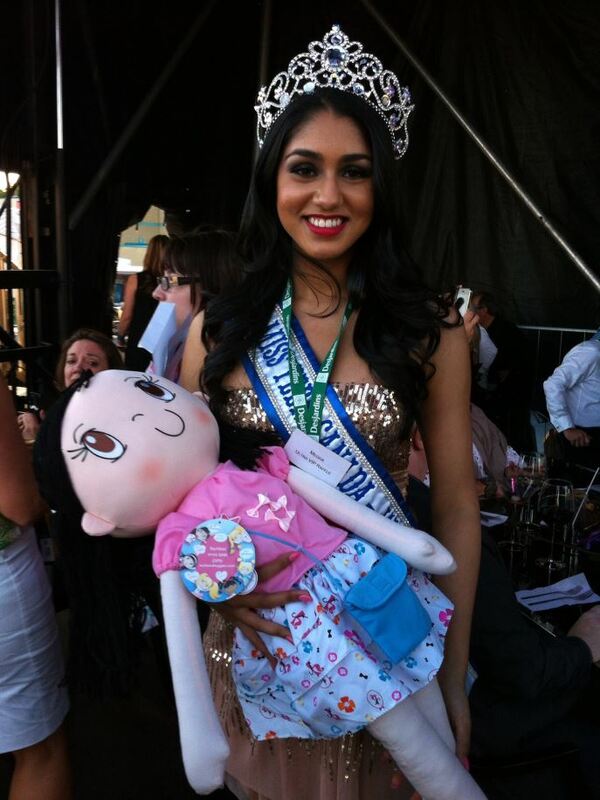 My Friend Huggles Bia doll met Miss Teen Canada at Strangers In The Night 9, a gourmet charity gala to benefit Starlight Children’s Foundation Quebéc on Saturday, June 15th 2013.